MAVA is staffed by a dedicated team in charge of implementing the foundation’s strategy and supporting our implementing partners. Our base is in Gland, in Switzerland, and we also have a regional office in Dakar, Senegal. Each one of us is passionate about the environment and committed to improving the state of the world’s biodiversity. Lynda joined MAVA as Director General in August 2010. She is responsible for implementing the strategy of the foundation and leading the secretariat team. 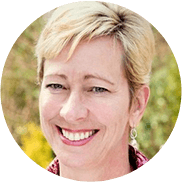 Since joining the foundation, Lynda has overseen a complete reshaping of MAVA including changes at the levels of the board, staff, strategy, processes, project selection, and communications. Lynda is deeply interested in sustainability issues and led the foundation to incorporate a new programme to work on the intersection of economic growth and natural resource depletion. She also ensures the impact of the foundation?s investments, and is committed to increasing its level of transparency and accountability. Before joining the foundation, Lynda spent 13 years with WWF International in Switzerland. She brought with her the experience of managing and directing global strategies for all aspects of office operations in the WWF Network and developing performance tools for its offices. Prior to that, she spent five years in charge of WWF leadership and organisational development. Lynda began her career as a San Francisco stockbroker and then earned an MBA from the Walter A. Haas School of Business at the University of California, Berkeley. Her two private-life passions are literature and travel. She is American and Swiss and has two grown sons. Lynda serves on the Board of the Global Footprint Network. She also acts as President of the Board of Partners for a New Economy and the Prespa Ohrid Nature Trust (PONT). Suzanne joined MAVA in March 2011 as Executive Assistant, providing administrative support to the Director General while also taking responsibility for communications and Board-related matters. Prior to joining us, Suzanne worked at WWF International as assistant to the Chief Operating Officer and then in the Major Donors Unit. Suzanne previously held similar positions at the European Football Association (UEFA) and the International Committee of the Red Cross (ICRC), the latter at headquarters in Geneva and in the field in Bosnia, Kenya and Haiti. A Swiss/English national, Suzanne teaches yoga in her spare time and enjoys travelling and cooking. Charlotte is responsible for implementing MAVA’s strategy for West Africa, overseeing all projects and partner relations in the region, and managing our regional office in Dakar. Together with the other Programme Directors and the Director General, she also jointly manages MAVA’s overall project portfolio, including our global projects. Before joining MAVA in 2014, Charlotte worked with FIBA for a decade as the marine protected area programme coordinator supervising the establishment of the first regional network of marine protected areas in West Africa (RAMPAO). She was previously involved in several international conservation expert groups, including the IUCN World Commission on Protected Areas as acting Regional Vice-Chair and Marine Coordinator for West & Central Africa. She holds a Master’s degree and a PhD in conservation biology from the University of Goettingen, Germany. A Burundian national, Charlotte has a daughter and is passionate about music and reading. Antonio joined MAVA from FIBA in December 2014 after the two foundations merged. He is in charge of implementing our strategic work on protected areas and biodiversity conservation in West Africa. A professional ornithologist, Antonio began his career with the Portuguese Ministry of the Environment where he coordinated national bird ringing and was often involved in conservation research. His first experience of field work in West Africa came in 1990, evaluating the ornithological importance of the Cufada lagoons in Guinea-Bissau. In 1994, he was awarded the BP Conservation Expedition Award, and in 1995, the Nature Conservation Award by the Portuguese organisation ‘Quercus’. Between 1996 and 1999, he then helped set-up a marine protected area network in Guinea-Bissau with IUCN, and in 1999, he joined FIBA, supporting the Banc d’Arguin National Park in Mauritania. A Portuguese national, Antonio is also a founding member of the Portuguese Ornithological Society (SPEA). Marie Madeleine joined MAVA in 2017 as Fisheries and Marine Environment Manager for our West Africa Programme. She has previously worked at national and regional levels in West Africa on integrated marine and coastal resource management and artisanal fishery capacity building, as well as intergovernmental scientific research for SFRC. She holds Master’s degrees in animal biology from UCAD in Senegal, and marine and coastal resource management from UQAR in Canada. A Senegalese national, Marie Madeleine’s roots are in the Cabo Verde Islands. She is the mother of two boys. To escape and relax, she loves to travel and discover the wonders of nature and breathe fresh air. Salla joined MAVA from FIBA in December 2014 after the two foundations merged. She is in charge of monitoring a diversified portfolio of local and regional projects in West Africa, including MAVA’s action plans on seagrass beds and oil and gas activities. A geographer, Salla holds a Master’s degree in ‘Espaces et Société Urbaines’ from the Gaston Berger University of Saint Louis in Senegal, as well as a diploma in protected area management from IUCN and Alexandrie’s Senghor University. Salla joined FIBA in 2011, working on the environmental awareness programme for children in the Banc d’Arguin National Park in Mauritania. Prior to that, she participated in the Programme of Work on Protected Areas. She has also worked for the independent electoral commission in Mauritania. A Mauritanian national, Salla enjoys movies and music which she considers a good way to relax. Eve joined MAVA from FIBA in December 2014 after the two foundations merged. She is in charge of various projects in West Africa including MAVA’s action plan on the development of coastal infrastructure in the region. Prior to joining FIBA in January 2014 to manage its fund for civil society organisations, Eve conducted research on hydrology and ecology in the Senegal river delta. A geographer, Eve holds Master’s degrees in Ecosystems and Environment, and in Integrated Management of Water Resources. A Senegalese national, Eve always brings a smiling face and a positive approach to work. Sokhna joined MAVA from FIBA in December 2014 after the two foundations merged. In addition to administrative tasks such as mail, stock and equipment management, Sokhna is in charge of logistics for our regional office in Dakar as well as organising field trips and workshops in the region. Before joining MAVA, Sokhna worked for five years as assistant to the coordinator of the marine protected area programme at FIBA. Prior to that, Sokhna held a similar position with the Organisation pour la Mise en Valeur du Fleuve Sénégal covering Guinea, Mali, Mauritania and Senegal. A Senegalese national, Sokhna previously worked in sales. She has a degree in management and trade. An epicurean and mother of two little girls, Sokhna enjoys arranging get-togethers and travelling. Maoudo joined MAVA from FIBA in December 2014 after the two foundations merged. Before joining FIBA in November 2008, he worked as a driver for the International Migrations Office in Senegal. In addition to making field trips in the West African sub-region, Maoudo provides logistical support for MAVA’s regional office in Dakar. A Senegalese national from the town of Thies, 70km outside Dakar, Maoudo is married with four children. A handy work hero, nothing escapes his watchful eyes! Paule is responsible for implementing MAVA’s strategy for the Mediterranean and overseeing all projects and partner relations in the region. Together with the other Programme Directors and the Director General, she also jointly manages MAVA’s overall project portfolio, including our global projects. Paule joined MAVA in 2009 and has a doctoral degree in Conservation Biology from the University of California, Davis, awarded for her work on wild cheetah populations in East Africa. Before joining MAVA, she conducted mammal and bird conservation research projects in the Mediterranean, California and Nicaragua. She has also delivered ethno-biological work with the Mayangna people of the Nicaraguan rainforest. A French/American national, Paule has a daughter. She enjoys hiking, cross-country skiing and horseback riding. She also enters her dog in agility competitions. Luis is in charge of the freshwater, terrestrial and species aspects of MAVA’s Mediterranean Programme. A biologist by training, he joined MAVA in October 2016 with more than 25 years’ experience in conservation. Luis is a founding member of Portuguese Ornithological Society (SPEA) and formerly its Executive Director (2004-2016). He has also worked at the Nature Conservation Institute, overseeing its aquatic bird census and wetland conservation plan, and authoring MedWet’s standard methodology for inventories. A Portuguese national, Luis is keen sportsman who plays football and runs regularly. He is proud of having completed several marathons. Julien joined MAVA from FIBA in December 2014 after the two foundations merged, and joined the Mediterranean Programme team in 2015. He is in charge of the marine and coastal aspects of our Mediterranean Programme. Holding a Master’s degree from the European Institute for Marine Studies in France, Julien began his career in the field, running a small marine protected area off the Amazonian coast in French Guyana. He then joined FIBA where he ran projects supporting marine protected areas on the West African coast. He also coordinated FIBA’s programme on the protection and sustainable management of natural resources, focussing on fishery issues. A French national, Julien is also a musician, and enjoys introducing his two young boys to outdoor activities. Gonzalo joined MAVA on 15 June 2018 and is responsible for the Outcome Action Plan M6 on cultural landscapes of the Mediterranean Basin. Gonzalo is an anthropologist and environmentalist from Ecuador, South America. He has more than 25 years of experience working with international conservation organisations on social aspects of nature conservation. From 2003 to 2017 he worked for IUCN as Senior Advisor on Social Policy, and from 1993 to 2003 with WWF International as Head of its People and Conservation Unit. Since 2017 he has been working as an independent consultant for Swiss-based and international organisations. His main areas of work are indigenous and traditional peoples, community-based natural resource management, human rights, culture and conservation, governance of natural resources and protected areas. Holger is responsible for implementing MAVA’s strategy for Switzerland, as well as the Sustainable Economy Programme. He oversees all projects and partner relations for both programmes. Together with the other Programme Directors and the Director General he also jointly manages MAVA’s overall project portfolio, including our global projects. Holger is a member of the European Coaches Network for adaptive management using the Conservation Measures Partnership Open Standards for conservation practice. He joined MAVA in 2005 having previously worked for WWF in the Mediterranean and in Mongolia. He has a Master’s degree in biology from Bayreuth University in Germany. Holger is a German national and enjoys the outdoors and mountain sports, as well as tinkering in and around his house and garden. Jérôme joined MAVA in 2016 as a part-time consultant and is responsible for the Vaud component of the Switzerland Programme. He is a specialist in the management and restoration of natural environments in forest, agricultural and urban areas, as well as ecological connectivity and the legal compliance with planning requirements. In 2013, Jérôme founded n + p, offering consultancy on nature and landscape conservation, and in 2016, he also co-founded the SolRiv consortium supporting the restoration of aquatic and riparian environments. Jérôme holds a Bachelor’s degree in Ecology, Zoology and Botany from the University of Lausanne, a Master’s in Environmental Management from the Ecole Polytechnique Fédérale of Lausanne, and a Doctorate in Natural Sciences from Department of Ecology and Evolution, University Of Lausanne. He has also conducted research at Stanford University in California and at the University of Bern, Switzerland. Jérôme is a Swiss national and likes to hike deep into the silence of the woods as well as spending rainy days brewing hoppy ales in his garage. Shalini joined MAVA as Programme Assistant in 2016. She coordinates our grants-related administration. She also supports the programme team, organising various field trips and workshops, and acts as our office manager. Before joining MAVA, Shalini held various administrative roles within NGOs and multinational companies. Born and brought up in the Lake Geneva region of Switzerland, Shalini is a Swiss national and has always loved nature and the outdoors where she likes to recharge her batteries by hiking, mountain biking or going out on the lake. In her spare time she enjoys cooking, photography and salsa dancing. Thierry leads the Impact & Sustainability Unit, which works across the foundation to sustain MAVA’s vision over the long-term. He oversees all activities relating to organisational development, sustainable conservation finance, evaluation and learning, and various other initiatives designed to secure impact. Thierry joined MAVA in 2009 as Manager and then Director of the West Africa Programme, bringing experience of scientific research as a biologist and cross-disciplinary project coordination in Switzerland and Africa. His previous work includes coordinating an ethno-biological study of Mount Hombori in Mali, delivering a participatory democracy initiative for the Graduate Institute of International and Development Studies, and leading Helvetas’ organic cotton production programme in Burkina Faso. Thierry is a Swiss national and spends most of his free time outdoors enjoying the ever-changing beauty of nature. Simon joned MAVA from FIBA in December 2014 after the two foundations merged. He coordinates MAVA’s work on partner organisational development across our different programmes. With a mixed background in ecology and social science, Simon has worked in several places from the National Museum of Natural History of Paris to Niger, Benin, Mauritania, Senegal, and now Switzerland. Along the way, he has been involved in ethno-botanic research on Sahelian woody flora, developing environmental awareness tools, training African park rangers, and capacity building for coastal conservation in West Africa. Simon is a French national, and when not outside birdwatching with binoculars, he loves to read about adventures that went wrong! Nathalie joined MAVA from FIBA in December 2014 after the two foundations merged. Initially working as our Evaluation and Learning Officer, in 2017, she joined our Impact & Sustainability Unit (ISU). Multi-skilled, Nathalie divides her time between developing the ISU pillar supporting individuals (leadership and innovation) and our learnings. With a diploma in land use planning from the Université de Technologie de Compiègne in France, before joining the FIBA, Nathalie worked for consulting firm SOFRECO and conducted a technical mission in Namibia for the GEF-World Bank project ‘Namibian Coast Conservation and Management project’ (NACOMA). A French national, Nathalie enjoys making new discoveries, travelling, scuba-diving, cinema, cooking and video/photo editing. 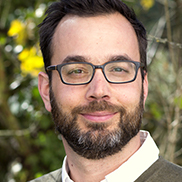 Following a long-standing collaboration with the FIBA and MAVA, Benjamin has been a senior advisor to the Impact & Sustainability Unit since 2018 and works closely with the West Africa office to implement a conservation finance strategy in the region. Benjamin graduated in Political Sciences and holds a masters in environmental management. He specialized in conservation finance mechanisms and has been exploring new funding mechanisms to enhance conservation strategies/solutions for over 15 years. He has worked on several long-term funding strategies for national or regional park networks. He drafted the Guide for the elaboration of Simplified Business Plans for Protected Areas (2011 - FIBA, FFEM, AFD) and Innovating conservation finance in West Africa and the Mediterranean (2016 - MAVA). He has also conducted several studies for the creation of environmental funds. Benjamin has 2 young Franco-Italian children whom he introduces to the amazing discovery of nature. Rachel joined MAVA in 2010 as Director of Administration and Finance to ensure reliable accounting, forecasting and reporting for the foundation. She manages our bank accounts and cashflow, ensures compliance with all legal requirements, takes responsibility for auditing and develops the annual budget. She also manages the integrated grants management software for the foundation. Before joining MAVA, Rachel worked in accounting for SC Johnson, Dentsply International and Johnson Controls International. She studied at the Université Robert Schuman in Strasbourg, France, where she obtained the equivalent of a Master’s in Finance & Business Administration. Rachel is a French national and the mother of two little boys. She enjoys running, trekking, alpine and cross-country skiing, and cooking. Ahmet joined MAVA from FIBA in December 2014 after the two foundations merged. He is in charge of the accounting and administrative management of MAVA’s regional office in Dakar. Before joining MAVA, Ahmet worked in a similar role for FIBA for eight years, and in accounting and finance at the port of Dakar. He holds Master’s degrees in management from the Gaston Berger University in Saint Louis, and in finance from the École Supérieure de Commerce de Dakar. A Senegalese national, Ahmet enjoys football, basketball and travelling. Laurianne joined MAVA in 2012 as a financial analyst. She supports the Head of Administration and Finance with day-to-day accounting, invoice, legal, HR and IT matters, and is a super-user for our integrated grants management system. Before joining MAVA, Laurianne lived and worked in Switzerland, Liberia, Palestine and Costa Rica, having obtained a ‘maturité fédérale’ in modern languages and a diploma in tourism management. She has worked for a number of humanitarian and environmental organisations and has a deep passion for nature. A Swiss national, Laurianne loves travelling and enjoys sailing, swimming, winter sports, dancing and artistic activities.